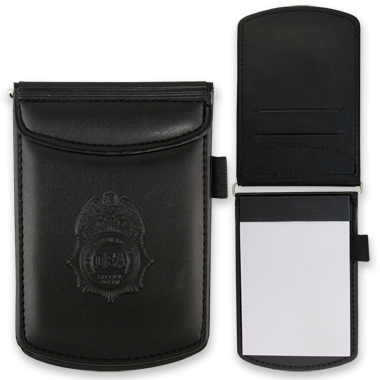 A favorite pocket jotter with DEA Badge blind deboss. Pen sold separately. Business card pockets. Pen loop. Includes 3" x 4.75" writing pad.